I came across a treasured artifact the other day: a piece of paper with eleven simple words on it. In 2001 a mother brought her young son to my office for a Brain Gym balance, and the words on this paper played a significant role in his transformation. I've been telling the story of his remarkable session ever since. Henry’s mother had attended a meeting where I presented information on Brain Gym. When she heard me mention the importance of crawling and how Brain Gym movements and processes could support children’s reading, she immediately recognized Henry in my description because he had completely skipped the crawling stage. Indeed, when Henry and I went through the PACE warm-up, he had a tremendous challenge with the Cross Crawl. Even with modeling and help, he continually reverted to bringing his elbow down to the same-side knee. As Henry and I chatted, he expressed how very much he wished he could read. “It would make everything so much easier,” he said. I wrote out in large print, “Today is a hot day. It is a hot summer day” — typical first-grade words. I said, “Henry, would you look at these sentences and tell me if there are any words you know?” He struggled across the two lines, miscalling every word except “a” — and I believe he was guessing at that one. Henry’s Edu-K balance called for Dennison Laterality Repatterning and a few other Brain Gym movements and processes, with lots of fun and chatting in between. This took a total of perhaps forty-five minutes. By the time we finished our movement activities, he was now Cross Crawling easily and fluidly. At this point, I asked Henry to look at the page again. He instantly spotted the words that appeared in both sentences and said, “Look at this! This says day, and this says day. . . . This says hot, and this says hot....a—a....is—is....” and he used his thumb and index finger to link the word pairs, reading them correctly and without hesitation. His mother, astonished, asked, “Henry, can you read that?” I said, “Let’s see.” The only support I offered was putting my finger under each word; he read both sentences on his own. I glanced over at his mother, who had tears running down her cheeks. The answer, of course, is Brain Gym. Yet, this balance did not teach Henry to read. Evidently, he had already learned the individual “bits” involved in reading, but he’d had no way to make a cohesive whole out of his knowledge. This, I believe, is what his balance achieved. I was amazed at the learning that Henry accomplished that day, in a single session. Vital pieces for this major shift all seemed to come in the package of this one balance, although he will certainly benefit further from more sessions over time. Children sometimes need several sessions to see the kind of change that Henry made in one day, and we may work and work with a child and see much smaller gains. But sometimes, that one shift is just what the child has been waiting for. How could ability become available so suddenly? • what I learned from Henry’s mother: About to enter second grade, Henry still could not read, and could barely form his letters. He’d had two years of remedial work (occupational therapy, vision therapy, speech therapy, reading clinics, and special-education class at school) to no avail, despite precocious language skills, boundless curiosity, and obvious intelligence. And (when I inquired) she said he’d skipped the crawling stage. • what I observed about his movement patterns: Henry was unable to accomplish the Cross Crawl movement, and consistently reverted to the "elbow to the same-side knee" movement. 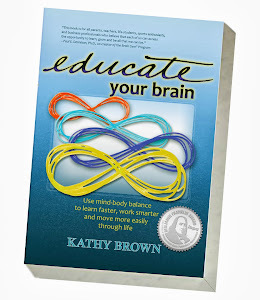 • what I know (a): Fluency with the Cross Crawl movement may indicate that the brain is patterned for simultaneous use of both brain hemispheres; preferring the "elbow to the same-side knee" movement may indicate a more "homolateral" patterning, where the learner is ready to use one brain hemisphere at a time. 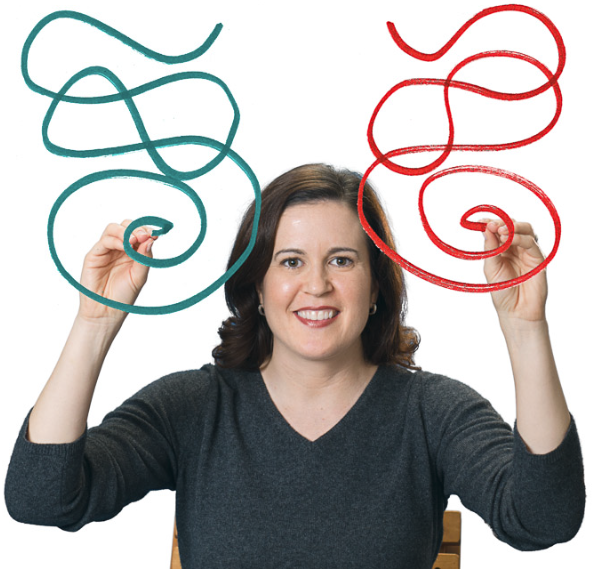 • what I know (b): It takes simultaneous contributions from both sides of the brain in order to read fluently (left - phonics, and right - comprehension of what the words and symbols mean). As we grow and develop, our repeated cross-lateral movement experiences are what help us to develop the "wiring" patterns for coordinated communication between both brain hemispheres. • what I’ve experienced: Numerous young clients who struggled with reading had been described by their parents as having crawled only briefly, not at all, or “oddly” (backwards or sideways, for example); and after Brain Gym balancing, often including Dennison Laterality Repatterning (DLR), these children consistently read much more easily. • what I observed in Henry’s balance, and learned later: At first he struggled to Cross Crawl, and he struggled at reading. After his balance session, he Cross Crawled easily and fluidly, and he could suddenly read what he’d been unable to read moments before. Within the next two weeks he had tied his shoes for the first time and was “writing like a real second-grader,” as well. Clearly, Henry had arrived for his session without efficient wiring patterns for key academic and physical coordination tasks. I can only assume that his Brain Gym session had had a positive effect on the state of his internal wiring. Once efficient wiring is in place, tasks that previously might bring a child to frustration, tears, sullen defeat, or even angry outbursts, may now be experienced as simple, and accomplished easily. How many children struggle with their schoolwork (and how many parents struggle making them do it) when the issue really is the child’s lack of internal wiring? If a child has incomplete wiring, the effort required to manage certain tasks may a) require extraordinary effort that’s difficult to maintain, or b) be all but impossible, as reading was for Henry. Once the wiring is complete, abilities may appear, seemingly out of nowhere. A friend of mine describes this kind of pivotal new connection as similar to “plugging in a lamp.” If a lamp is unplugged, what happens when you flip the switch? How much good does it do, to tell the lamp to “try harder”? 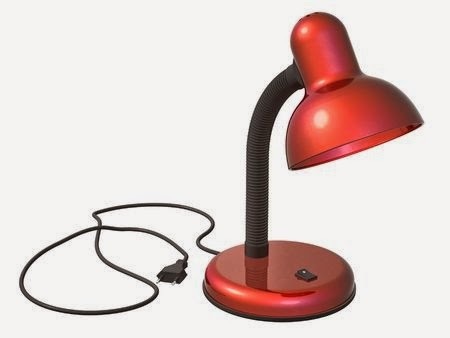 Yet, once the lamp is plugged in, the electrical circuitry is complete. 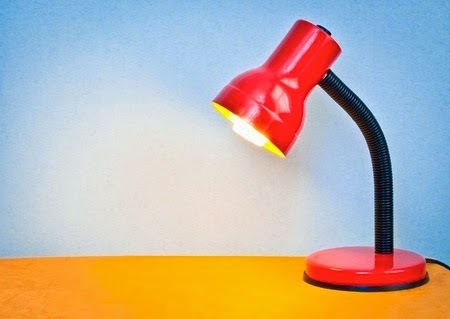 The switch works perfectly and the lamp efficiently provides light. We’re very understanding if a person has had a brain injury; their abilities are now limited because their wiring patterns have been interrupted, and are now incomplete. We're compassionate about their re-learning process. I believe it’s time to start recognizing that many learning issues are the result of incomplete wiring patterns, as well. This is not the fault of the learner, but may be the result of lack of certain kinds of physical movement during infancy and childhood (long hours in such equipment as car seats, walkers, etc., don’t help) or specific developmental issues. Our job, then, is to support the challenged learner in developing new, more efficient patterns of connection. For some learners, this is a longer process, especially if they're dealing with multiple challenges. What's most important is to begin -- with patience and understanding. What does it take to support children (or people of any age) in developing more efficient wiring for tasks such as reading? 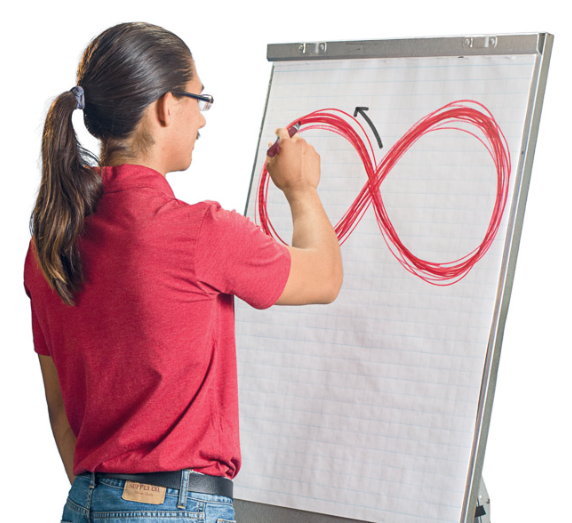 A good place to begin is with the Brain Gym® Midline Movements, which call on both sides of the brain simultaneously. Three of my favorites are the Cross Crawl, Lazy 8s, and the Double Doodle. You can learn about these movements in my book, Educate Your Brain, and Brain Gym® Teacher’s Edition, by Paul and Gail Dennison. My experience is that, over time, movements such as these support learners of all ages in developing greater ability to use “both brains” at the same time, to more easily perform their cognitive and physical coordination tasks. And my experience also is that a Brain Gym balance session, perhaps including the Dennison Laterality Repatterning process, often produces these same results even more quickly. For this, you’ll want to contact a Licensed Brain Gym® Instructor/Consultant, or take the Brain Gym® 101 course. I would love to see all children experience playful, integrating movement that leaves them prepared to enjoy the cognitive and physical activities of life. Let’s support children in early, efficient wiring for success, from the inside out, through movement. Brown, Kathy. Educate Your Brain. Phoenix: Balance Point Publishing, 2012. 129-130. This is an extraordinarily simplified version of the roles of different regions of our brain for the purpose of reading. I have shared about this topic in much greater depth in my book Educate Your Brain, in Chapter 11, "Ready for Reading." Brain Gym® Photographs copyright Laird Brown. All rights reserved. Clipart copyright © 123rf.com. All rights reserved.